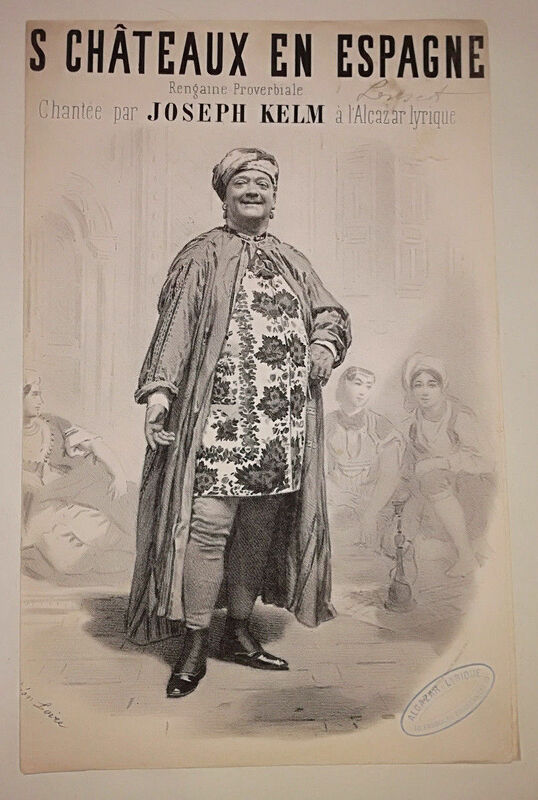 Kurt of Gerolstein: The Pretty Polish girl who sat astride her virtue..
Ramoni7: a treasure-chest of C19th music! Suicide of a seaside artist? Kurt at the cinema. Mamma mia! A Sunday Drive in the Country. The Pretty Polish girl who sat astride her virtue..
My last post and its original five pictures, borrowed from the gold mines of Blois, included four taken from the great-opéras-bouffes, and one that wasn't. 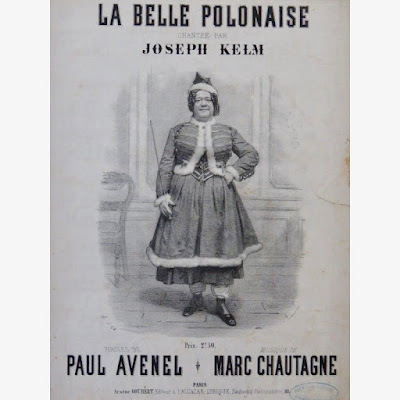 So why, then, was I interested in 'La Belle Polonaise'. 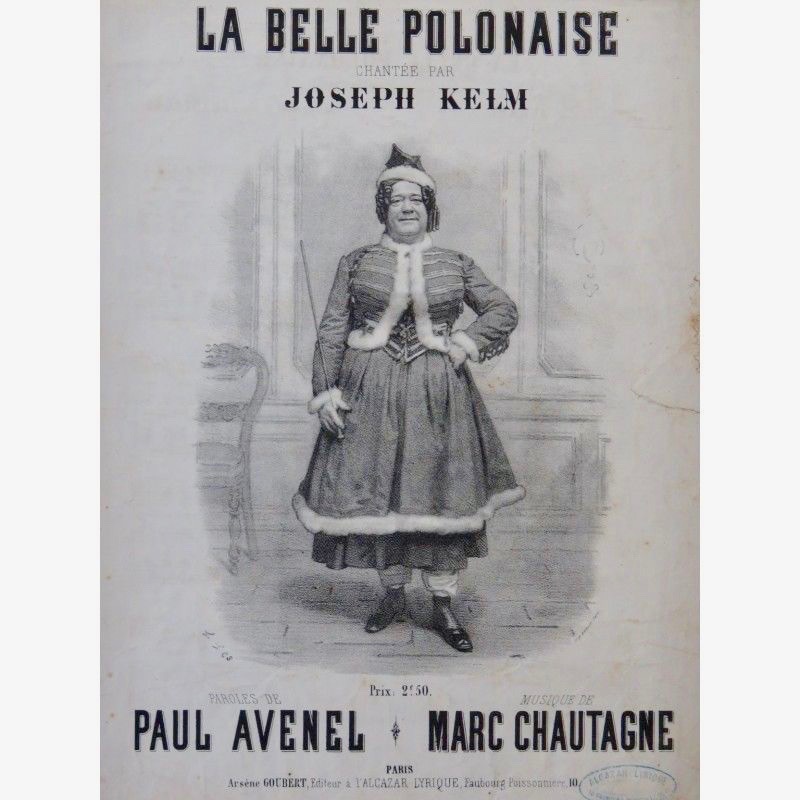 Well, apart from the fact that it was a great sheet-music cover, it was Joseph Kelm. 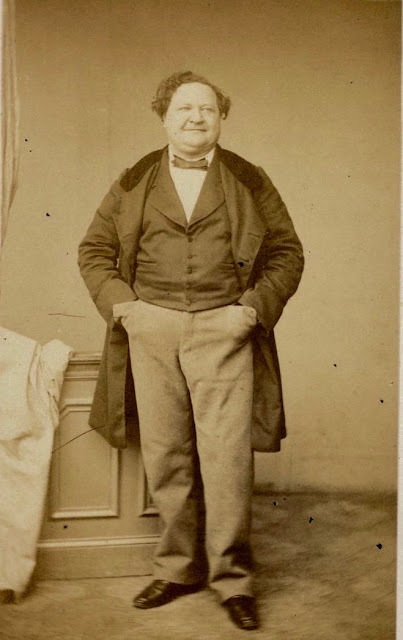 Joseph Kelm (né Kahenn, 1805-1882) was the son of a Jewish shopkeeper, who began his career as a serious tenor vocalist. In that capacity he even took a tiny part in Paris's first Lucia di Lammermoor. But after a while, the 'short fat' performer shifted his efforts to the straight theatre, and there he walked into musical-theatre history. 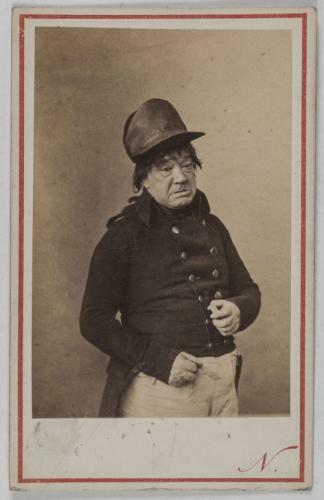 Rightly or wrongly, he is credited with being in at the birth of opéra-bouffe. Those folk who like to label 'the first' this and 'the first' that, posit Hervé's little 2-hander sketch, Don Quichotte et Sâncho Pança, written to be played at Kelm' Benefit, as the white stone show. A cheval sur la vertu. She sat 'astride her virtue' in all corners of the globe, each adventure ending with a rousing chorus. 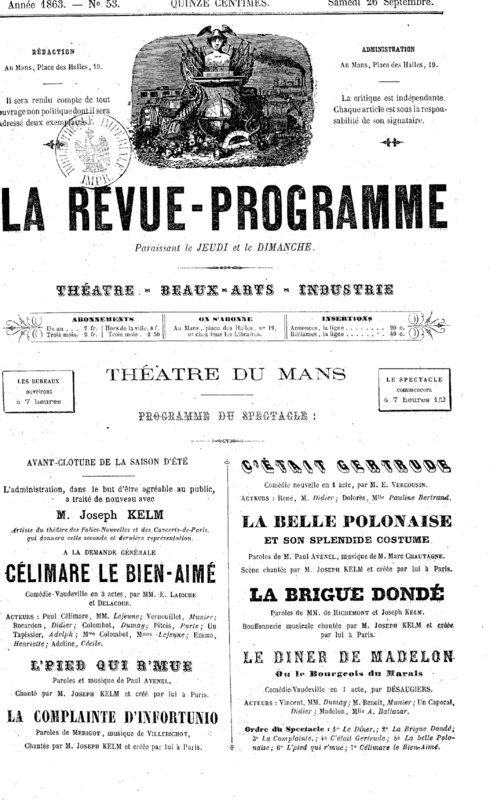 Monsieur Kelm could be spoken of in the same breath as the great Thérésa... and was. PS My friend Sean Stephane Martin has come up with a delicious bit of information about this song. 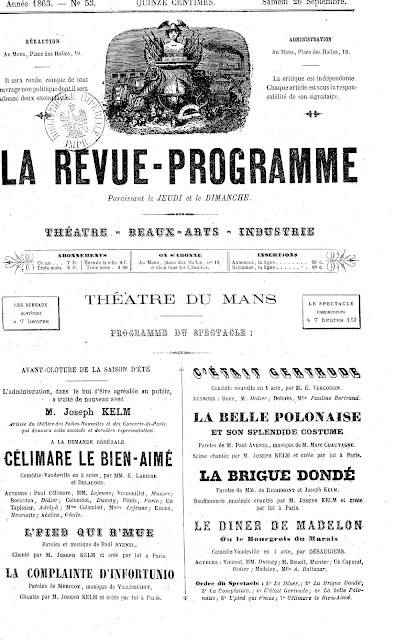 It was, he tells me, used by Giraudoux in his memorable play La Folle de Chaillot. woweee!